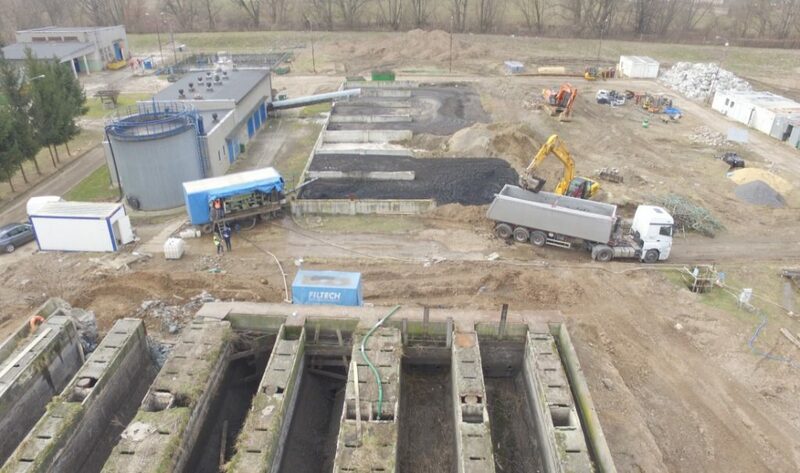 In the Wastewater Treatment Plant in Złotoryja we carried out an industrial cleaning of the Imhoff Tank. The average amount of sludge that was removed each day oscillated around 300 m3. During the cleaning process the tank was being systematically demolished.